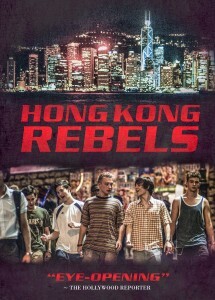 The drama/thriller HONG KONG REBELS, formerly titled “Stories Forlorn”, for which I wrote a score in late 2013, is finally coming out on VOD and digital. It will hit iTunes/Apple TV in US & UK on August 28, with other VOD platforms to follow. Click here to check out some samples from the music on Soundcloud.